Captain Phillips' actor Barkhad Abdi was on top of the world Sunday at the Oscars. Working the red carpet, doing interviews and mingling with Hollywood's biggest stars. But now that the lights have faded, it's back to reality for the Hollywood newcomer who is reportedly broke. Abdi earned $65,000 for his role in Captain Phillips but he was given that money two years ago and has spent it all since then. According to the New Yorker, which broke the story, "When Abdi is in Los Angeles to promote the film, he subsists on a per diem, The town car is available only for official publicity events. His clothes are loaners." After he finished working on the film, Abdi started working at a mobile phone store in Minneapolis, Minnesota. When the movie premiered he packed his bags and moved to L.A.
Captain Phillips had a $55 million budget and has since grossed $107 million domestically and $217 million worldwide, but Abdi reportedly hasn't seen any bonuses or extra paychecks despite the film's success. And while a writer for Indie Wire acknowledges $65,000 for an actor's first gig is fair, he also adds the New Yorker article may be just what the doctor ordered for the Somali actor. "Sometimes, when a studio is embarrassed by negative PR like this ... it tries to correct things. So it's very possible that Sony Pictures will give Abdi a huge financial bonus in reaction to the New Yorker article, which would be fair and very well deserved." Also according to the Hollywood Reporter, Abdi has been cast in a new movie called, "The Place That Hits The Sun" about a South African Marathon runner who develops an unlikely friendship with a local bar owner. So, it might not be long before he cashes in another big paycheck. 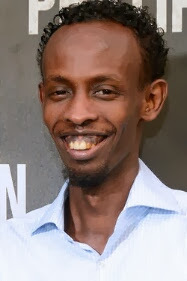 Though Abdi didn't take home an Oscar, he did manage to grab a BAFTA award for his "Captain Phillips" role and was nominated for a Golden Globe and a Screen Actor's Guild award.